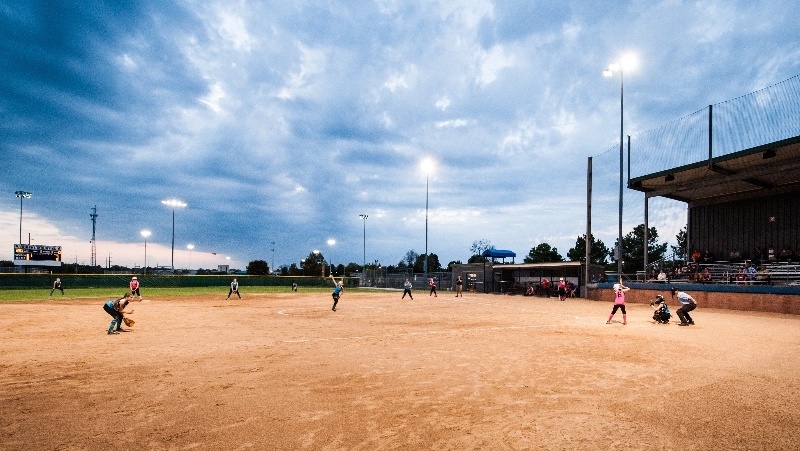 From state-of-the-art facilities to low-key public fields, Rogers has numerous baseball fields and stadiums to host your next event. Contact us for more guidance on choosing the right event venue. 2150 N. Dixieland Rd., Rogers Offering six baseball/softball fields, Rogers Regional Sports Park is frequently used for league and tournament play. 500 E. Veterans Parkway, Rogers This gorgeous green space features a 23-acre park that surrounds the sports field complex, which includes two baseball fields and two softball fields. Veterans Memorial Park also includes a pavilion with picnic tables. 901 N. 13th St., Rogers The oldest ball field complex in Rogers, Northwest Park boasts seven baseball/softball fields and well-maintained areas for spectators. 3000 S. 56th St., Springdale Home of the Northwest Arkansas Naturals Minor League Baseball team, this ballpark just 30 minutes south of Rogers can accommodate more than 10,000 guests and offers a variety of meeting spaces, such as a community room, concourse, parking lot or full ballpark buyout. Fill out the event request form to book a non-game-day event. 1255 S. Razorback Rd., Fayetteville One of the nation’s best college baseball facilities, this stadium is located about 40 minutes south of Rogers on the University of Arkansas, where it is home field of the Arkansas Razorbacks. Capacity for the stadium is 10,737. Learn more about Baum Stadium at George Cole Field.